I guess for those who find themselves in places they shouldn't be, the abiding presence of God might be a bit terrifying. But I find great comfort in knowing that no matter where I go, from the moment of my conception to the day of my death, God is always there. 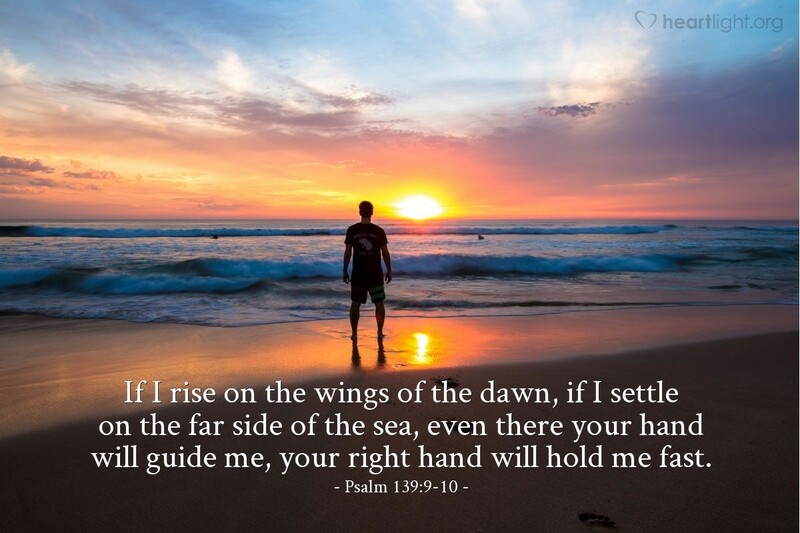 He is there to guide me and sustain me. Even when I'm in places I am not supposed to be, doing things I am not supposed to do, he is still there. I can turn to him in repentance and receive his grace. I can turn to him in need and receive his strength. I can turn to him and know I am not alone. Thank you, Father, for loving me and personally knowing me. Thank you for the assurance that I won't have to face a day without you. Thank you for the comfort of knowing that I will never face my sorrows alone. Thank you for being the strength that sustains me when I don't have the strength to go on. Thank you that when tomorrow dawns, I will be with you no matter what happens during the night. In Jesus' name, I pray. Amen.